The heart of Christmas lies in the Christian belief that Jesus, the Son of God, was born as a person and saviour of mankind roughly 2,000 years ago. It is integrated into the Christmas season of ecclesiastical and secular customs which start on the first Advent and last until February 2 (Candlemas). The actual Christmas period extends over three days, from December 24 – 26. In the absence of accurate historical records, the day of Christ’s birth was only officially set in the 4th century. In the 4th century, the still young Roman Catholic church was in great competition with other cults and Germanic festive traditions whose main festive season with grand celebrations was held around December 25. The birth of Christ was chosen as a suitable occasion in its efforts to keep these popular festive dates but Christianise them. His birthday was finally placed on December 25 and was celebrated for the first time in Rome under Pope Liberius in the year 354. This date was in fact declared a dogma by Emperor Theodisius at the Council of Constantinople in 381. This day was appointed a public holiday under Emperor Justinian (483-565 AD). December 24 is the evening before the actual Christmas Day, “Christmas Eve”, which is packed with lots of customs in Germany. The German word for Christmas “Weihnachten” first appeared in 1180/90 where it was used in a poem written in Middle High German by the verse lyricist Spervogel d.Ä. : “ze wihenaht”. 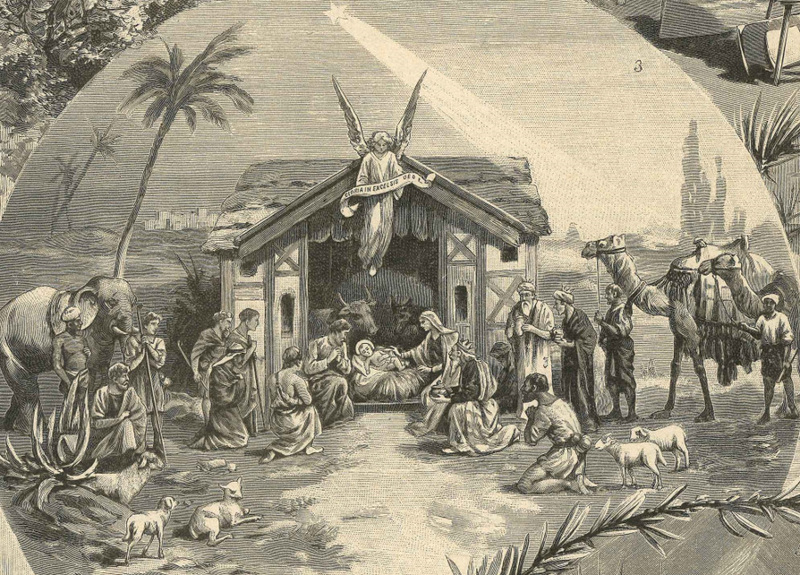 Christmas essentially remained in a clerical setting until well into the 14th century. The development of Christmas customs in the craft guilds sector starts in the 15th century. The oldest mention of a Christmas tree is handed down in a document from Sélestat (Schlettstadt) dating from 1521. The festival only triumphantly enters the private sector afterwards, increasingly since the 18th century. 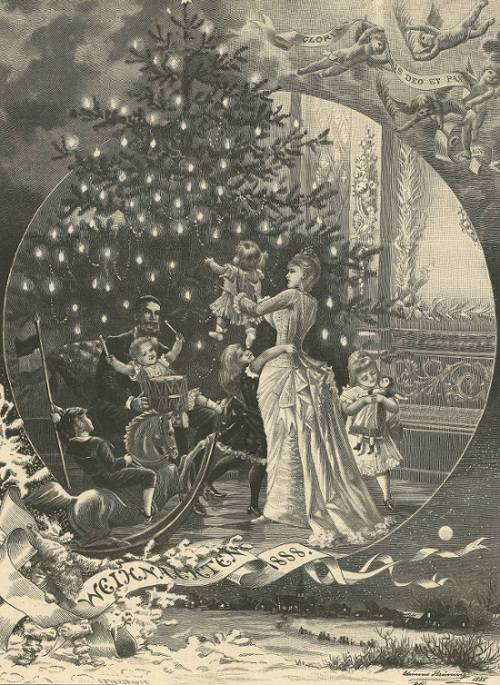 New Christmas customs and types of decorations predominantly develop in bourgeoisie and aristocratic circles, which finally merge into a coherent phenomenon in the 19th century and define “traditional German Christmas” to date. As a result, Christmas transformed in the Biedermeier era starting at the beginning of the 19th century from a religious festival to a gift giving and family festival. 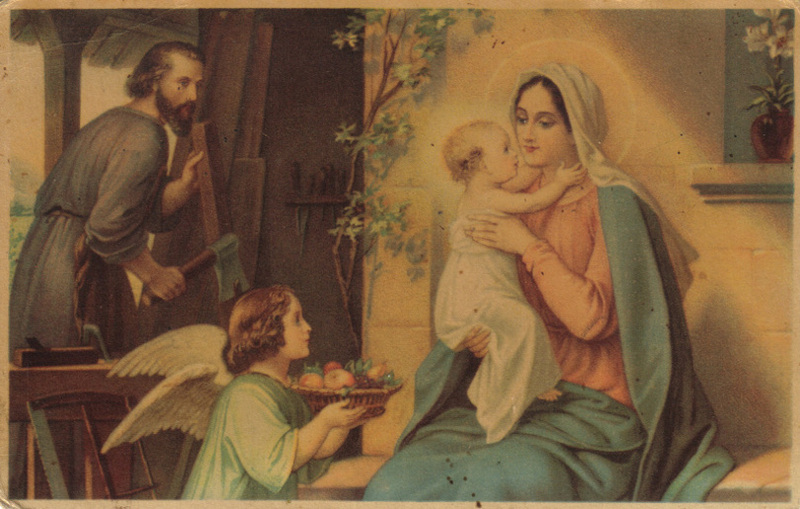 Today the gifts are given to children in Germany on the evening of December 24 as a symbolic act based on the gifts from the three wise men from the Orient, whilst earlier, up until around 1900, it was predominantly on St. Nicholas Day, December 6 or even on New Year’s Day that the gifts were distributed. Going to Christmas Mass together, the decorated Christmas tree around which all the family members gather and sing together before the gifts under it are distributed and the special Christmas meal have been a permanent component of the traditional Christmas since then. The specific regional and individual family Christmas customs that are passed down from generation to generation then complement this.